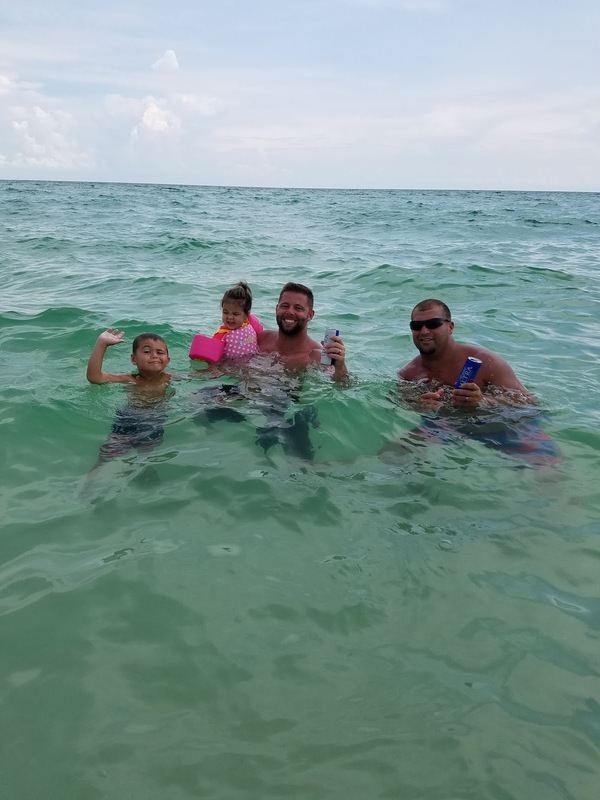 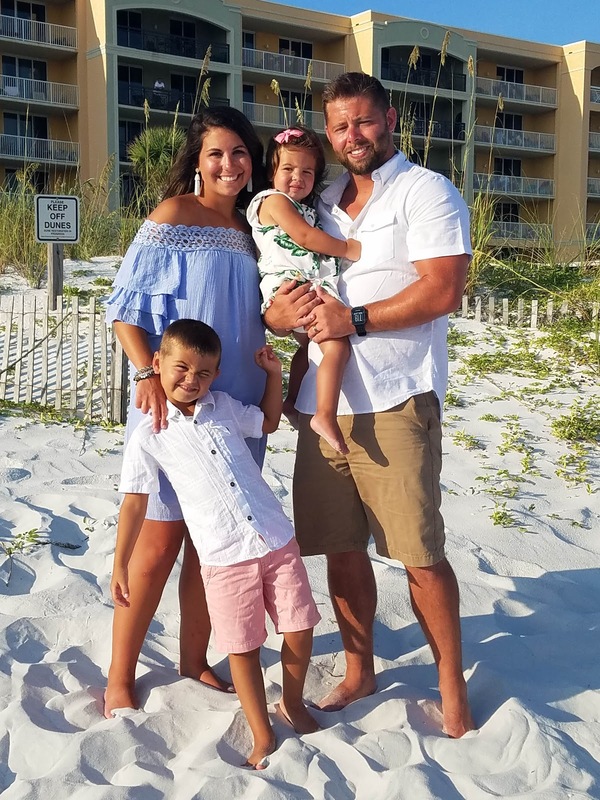 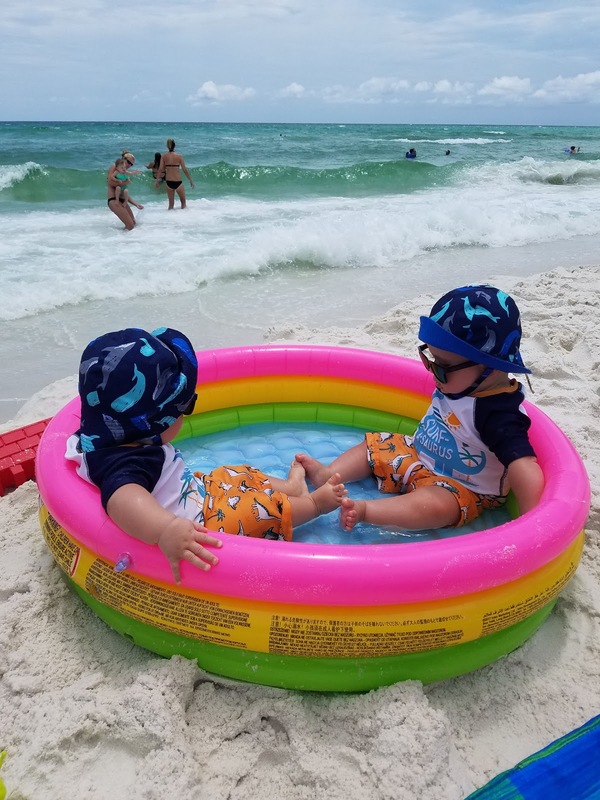 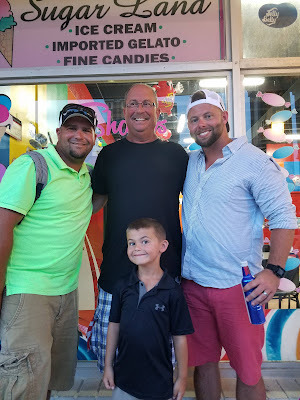 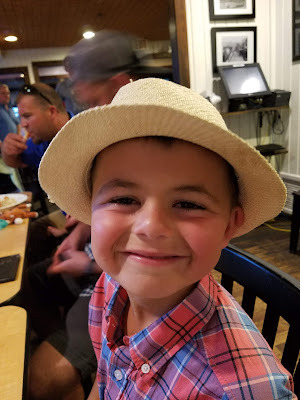 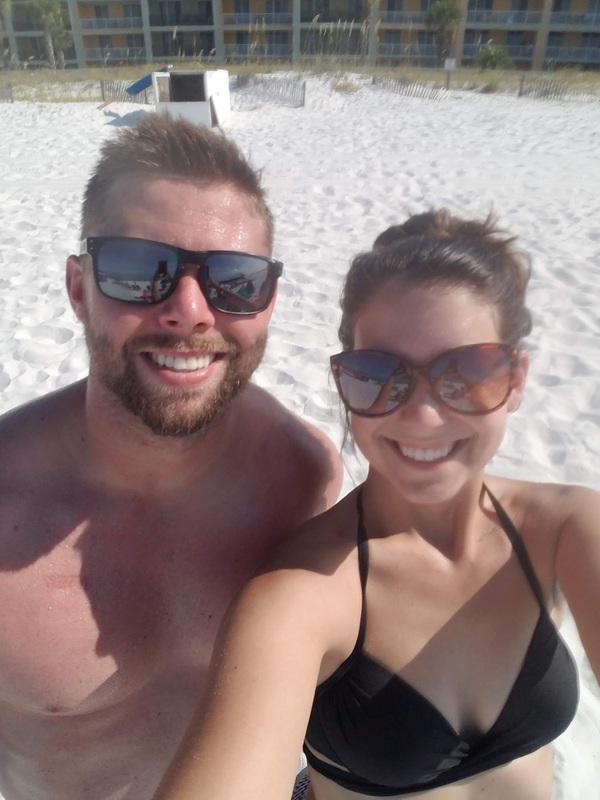 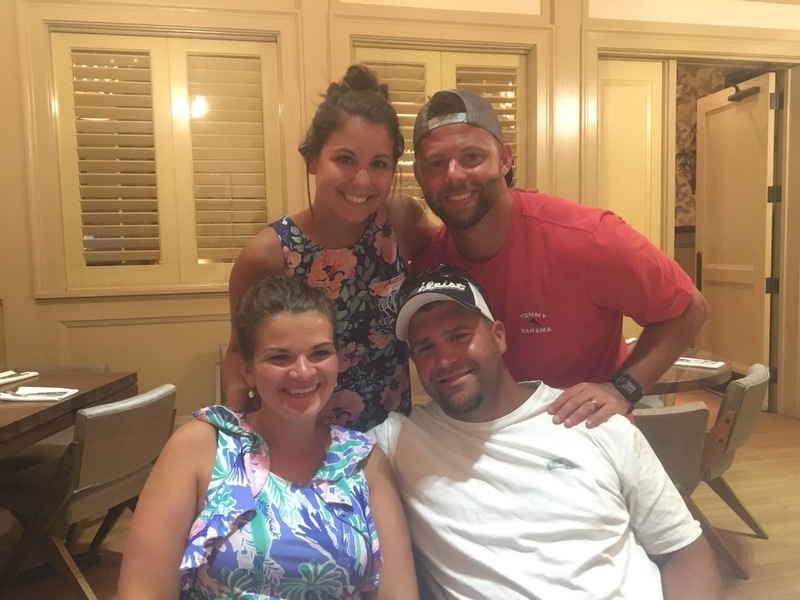 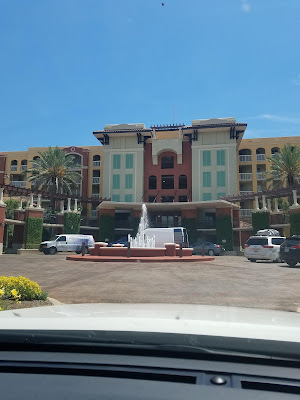 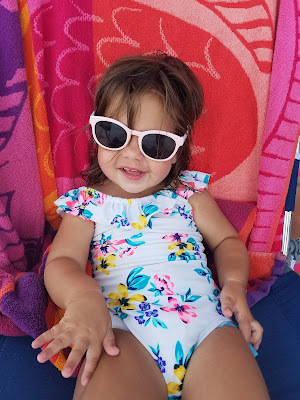 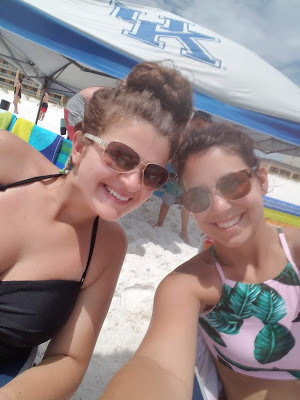 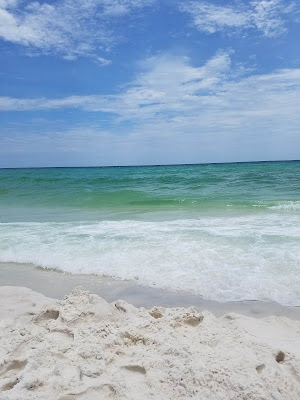 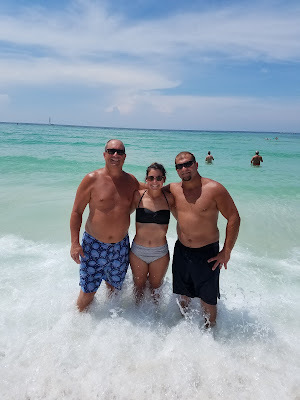 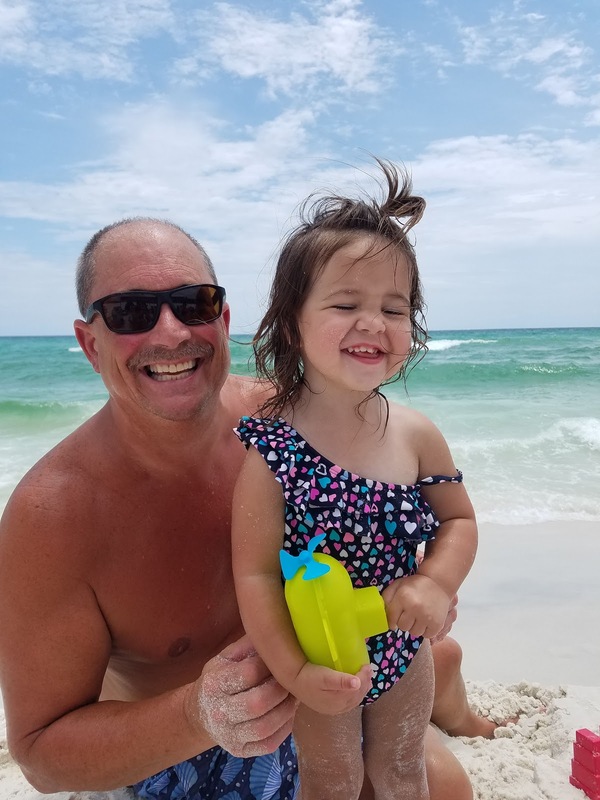 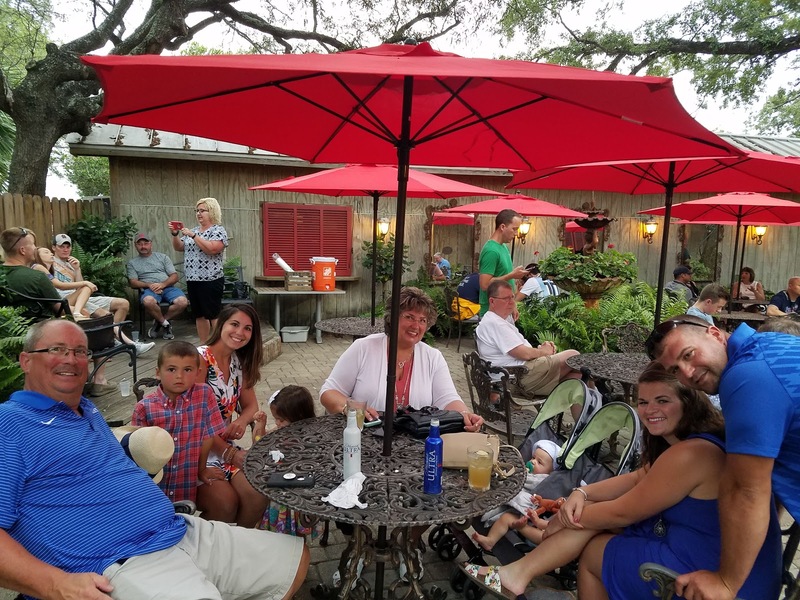 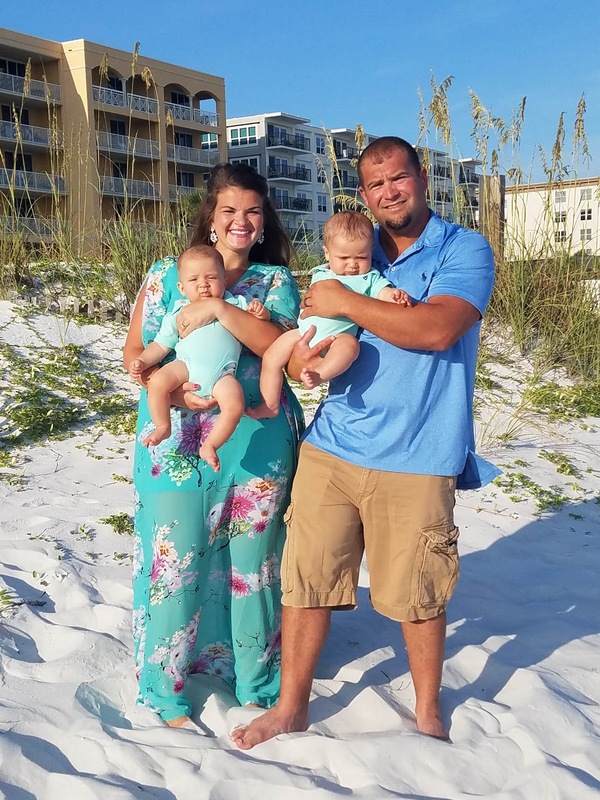 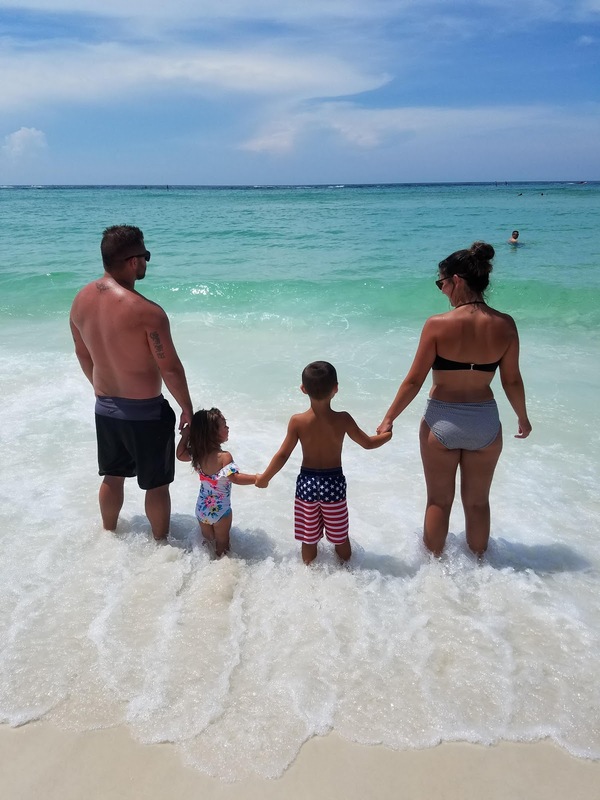 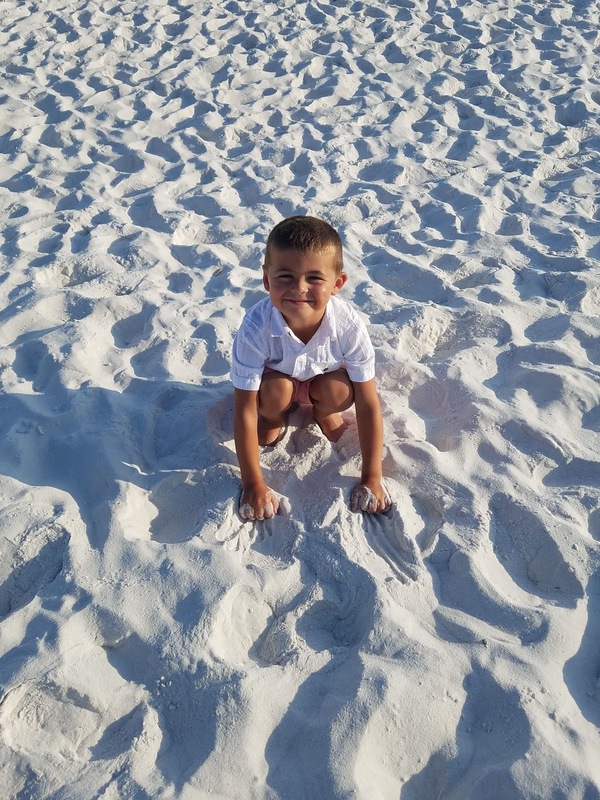 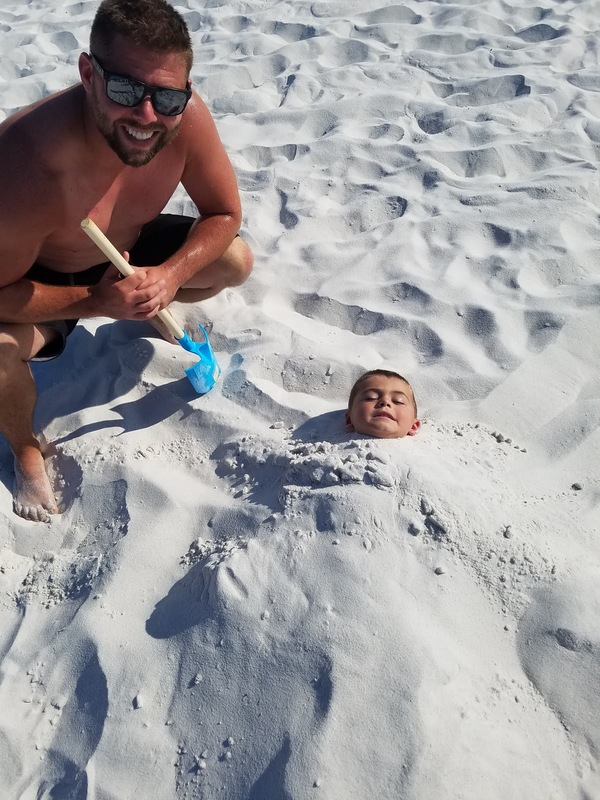 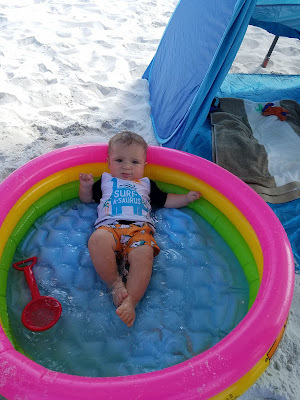 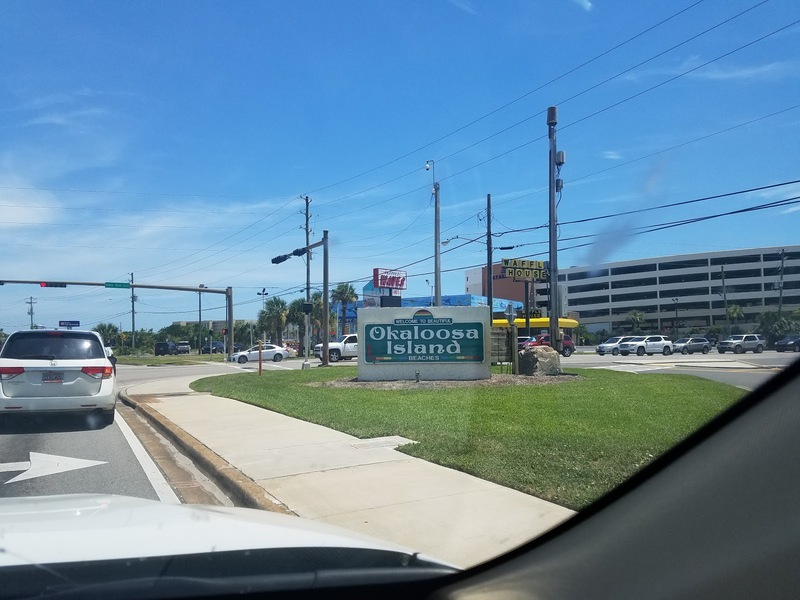 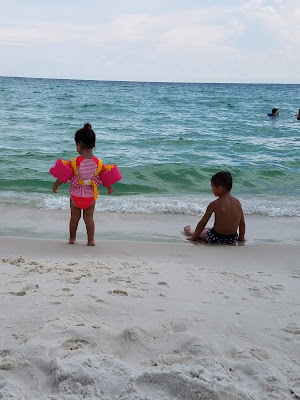 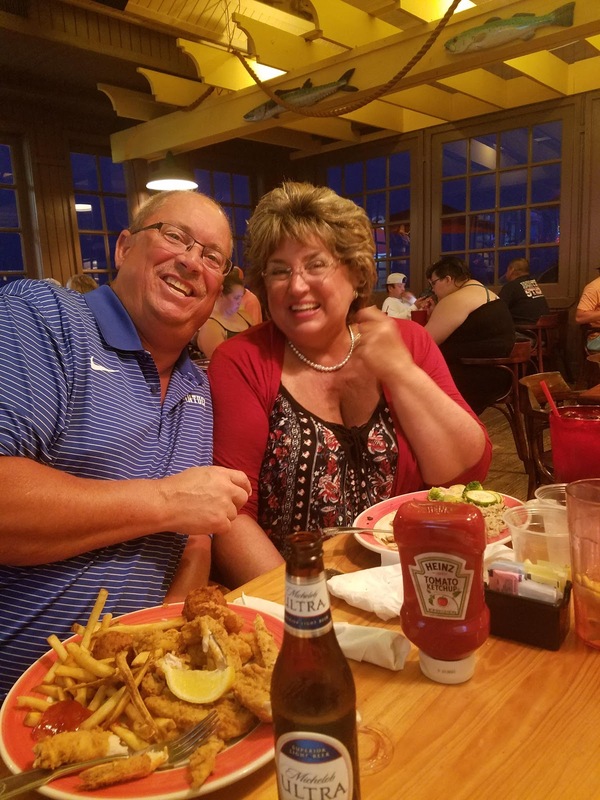 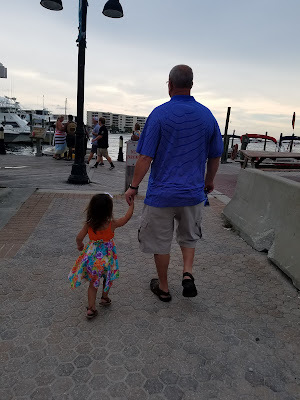 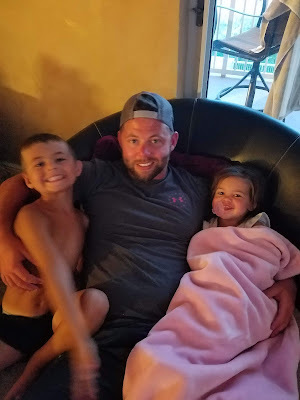 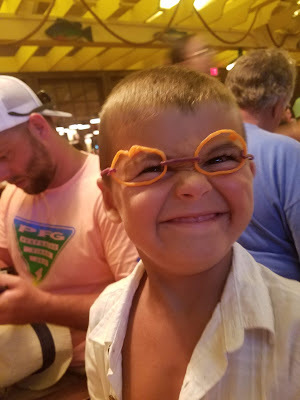 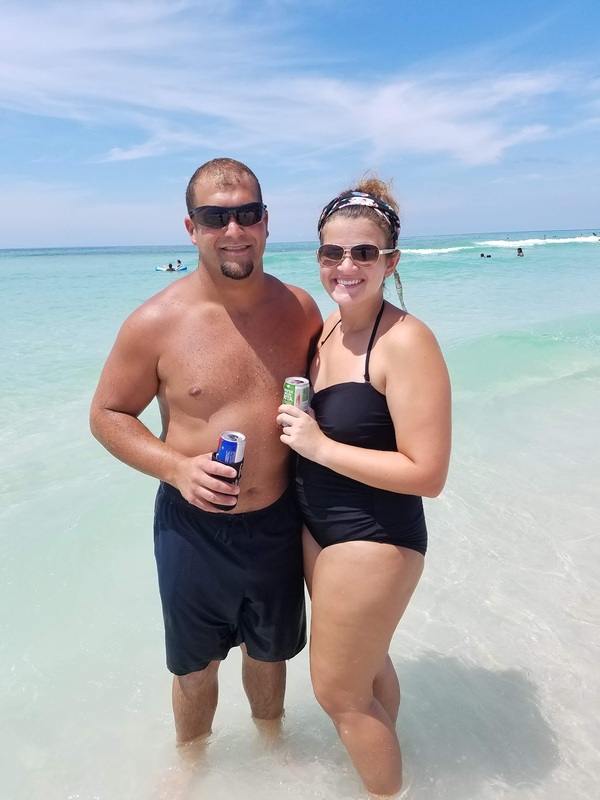 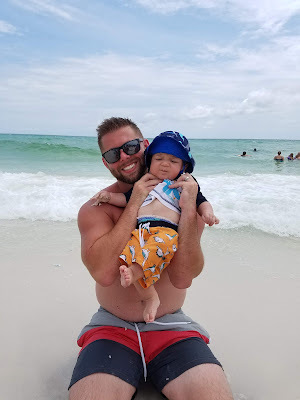 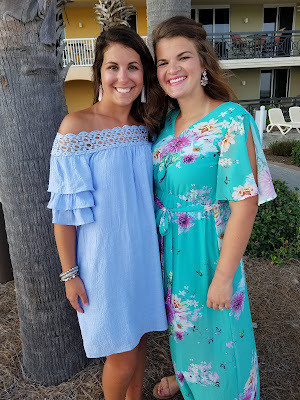 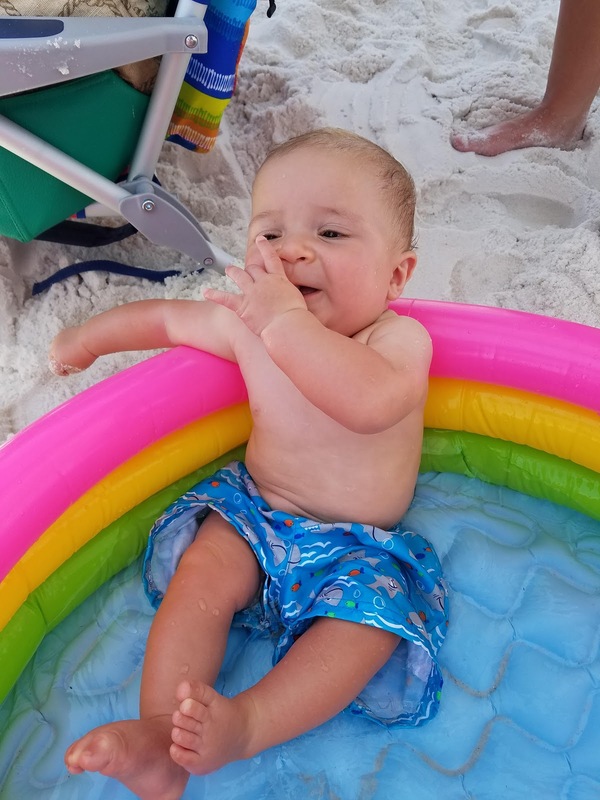 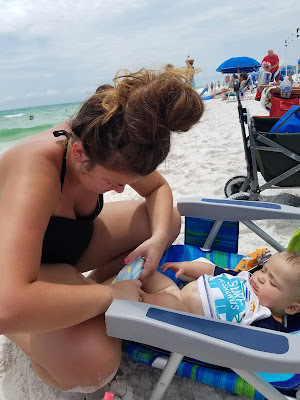 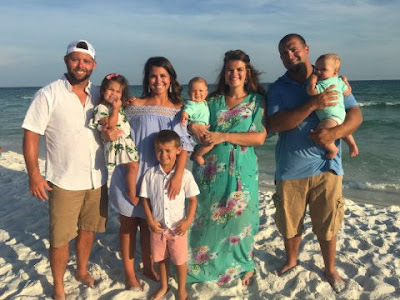 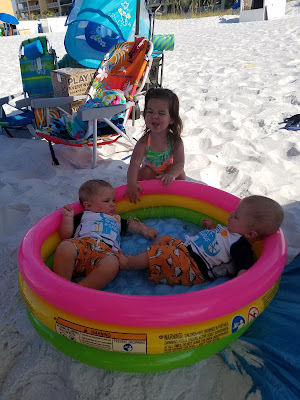 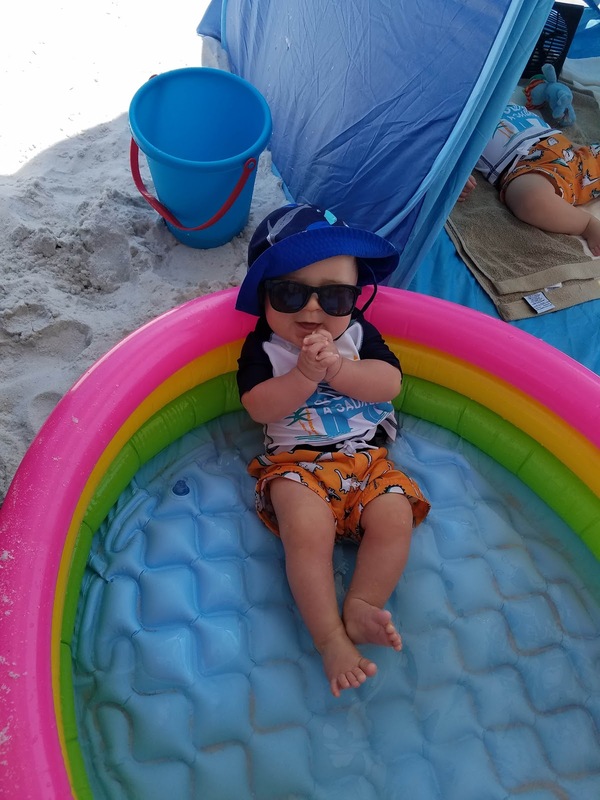 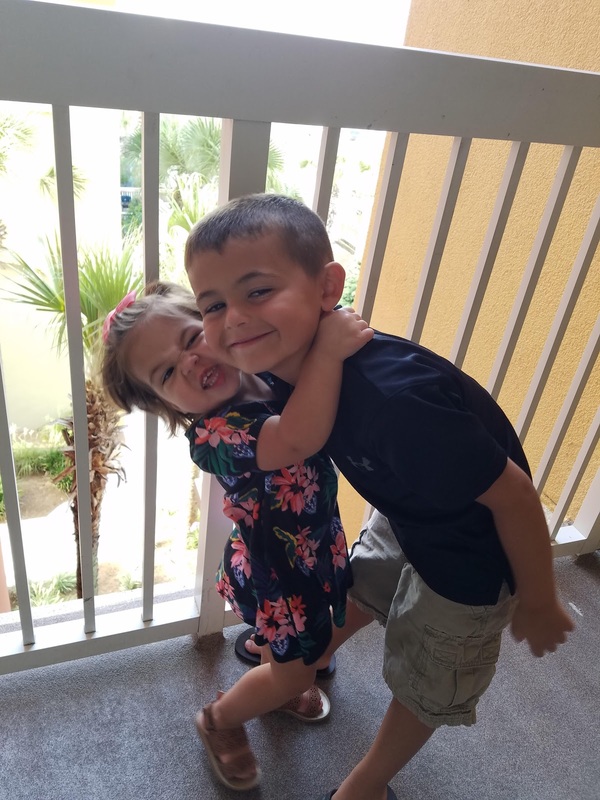 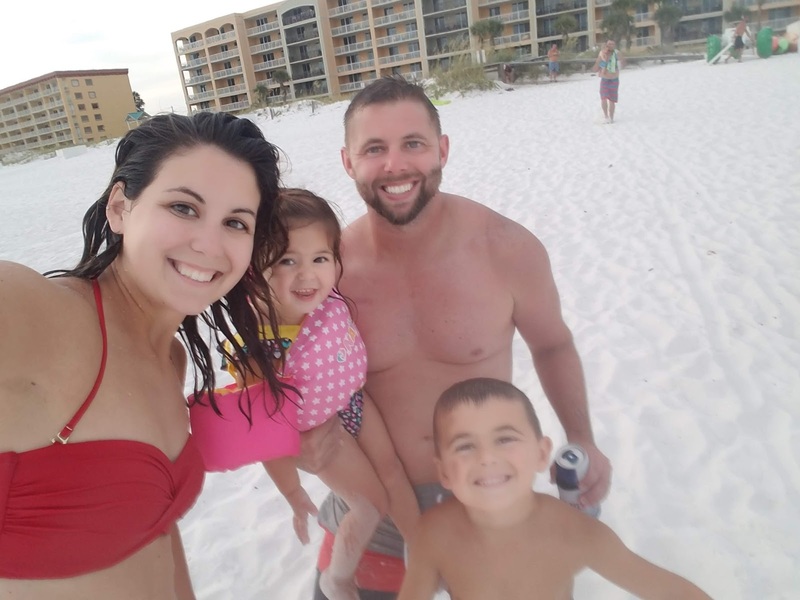 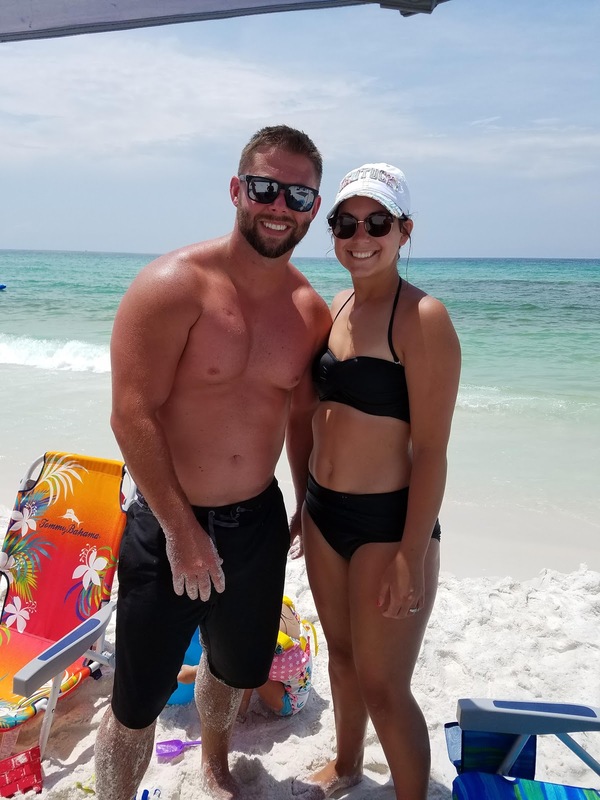 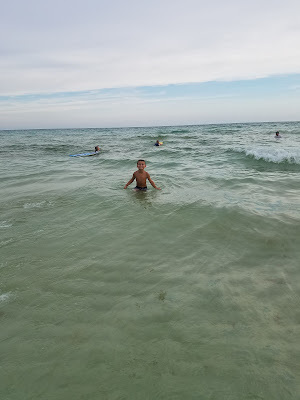 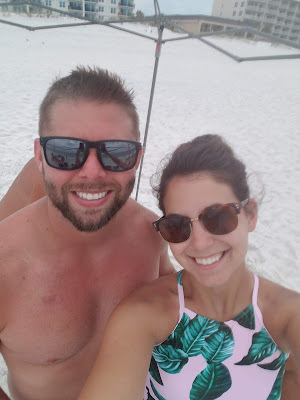 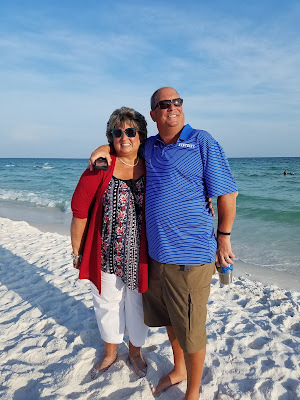 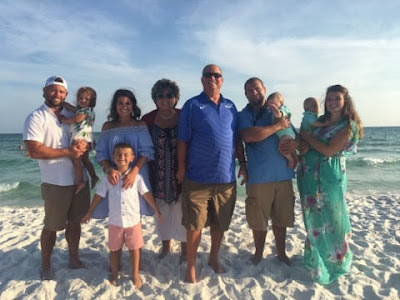 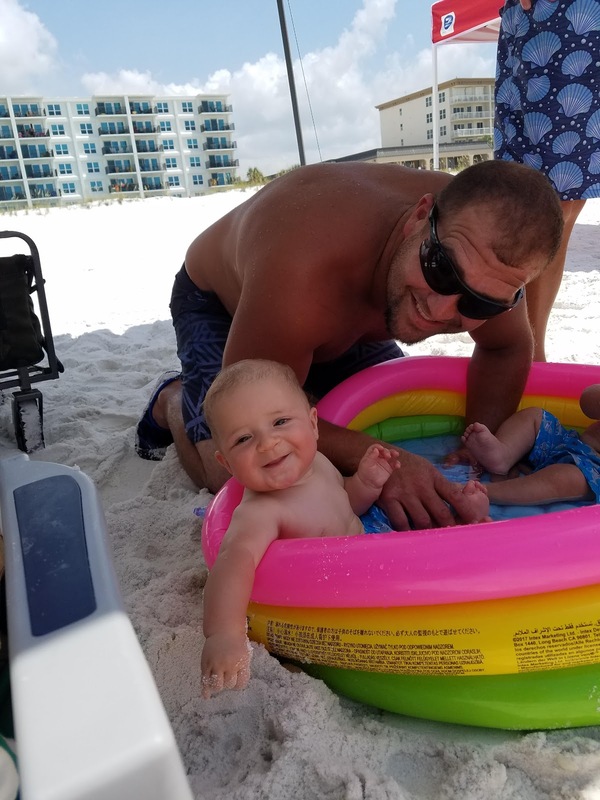 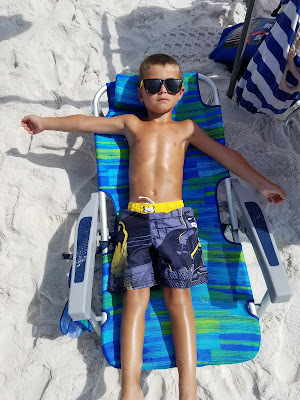 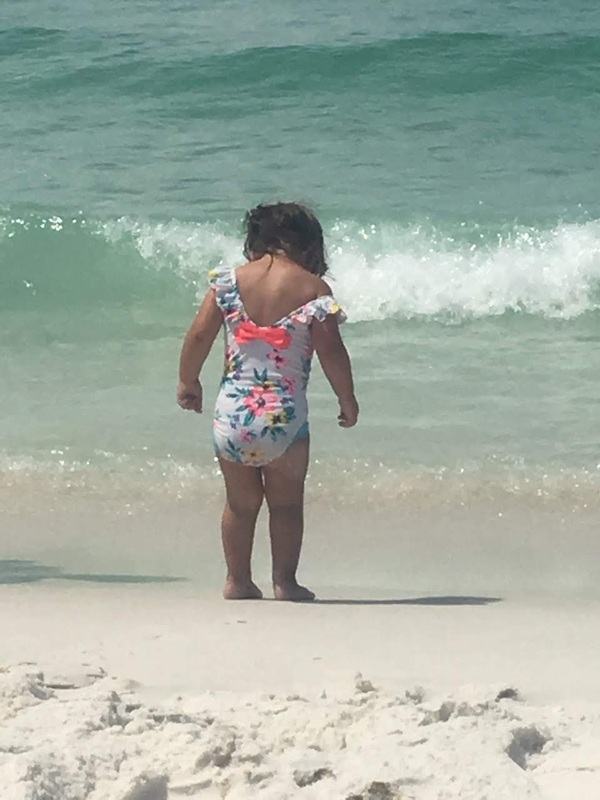 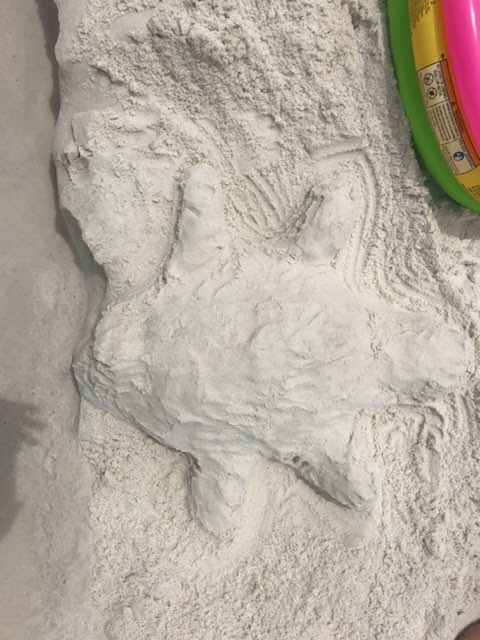 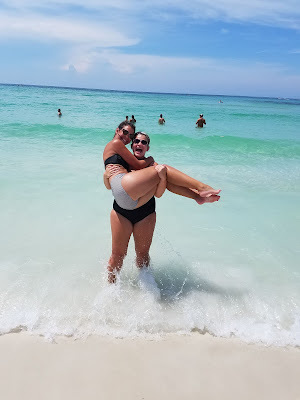 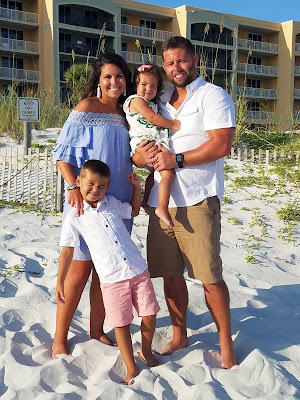 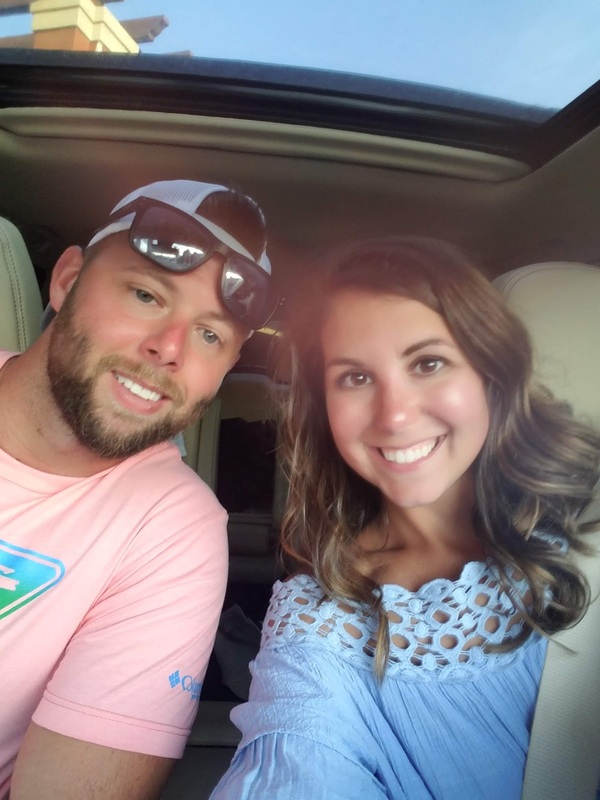 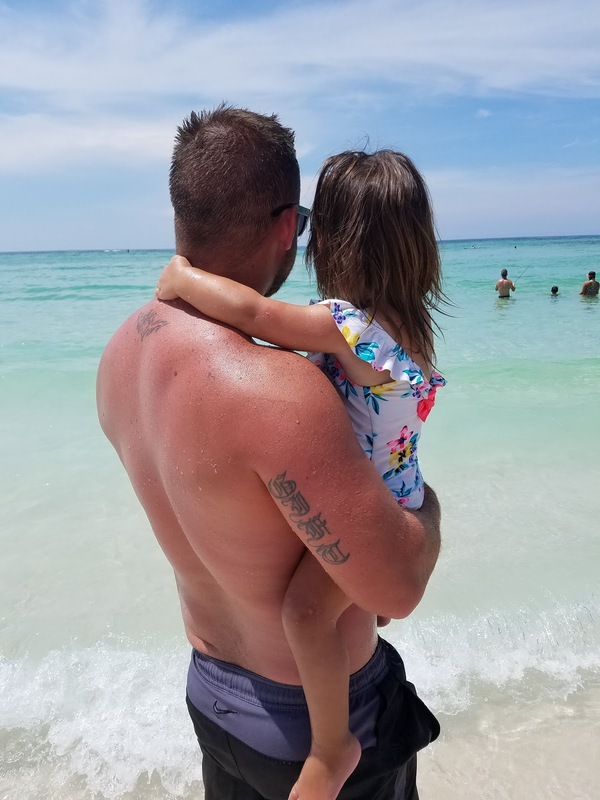 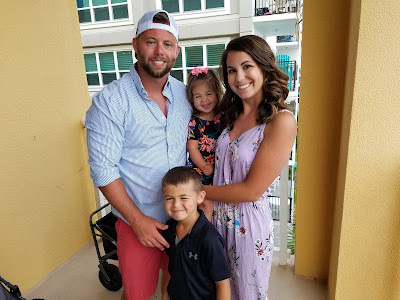 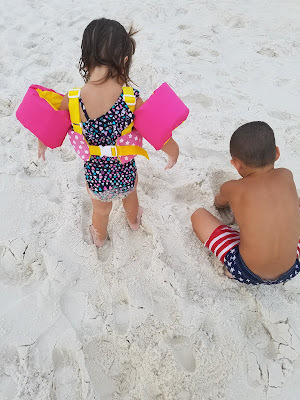 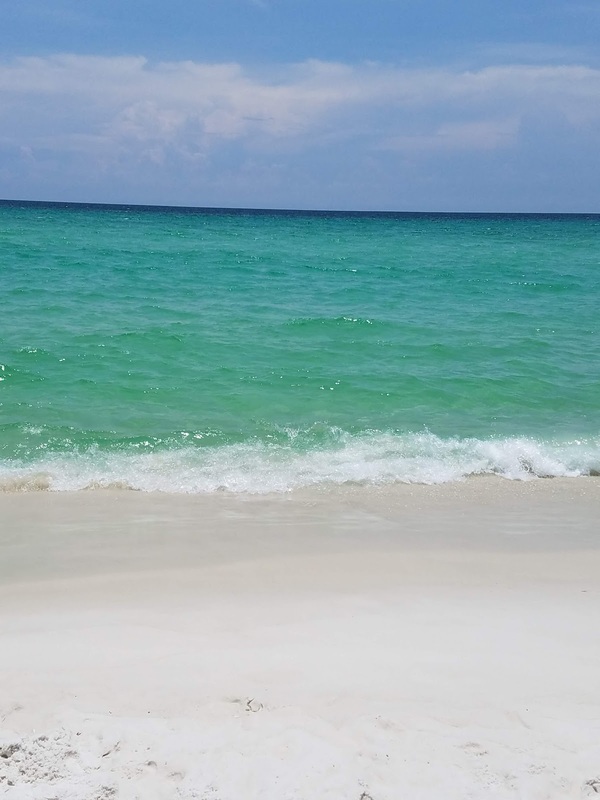 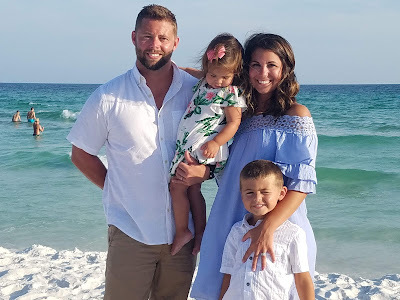 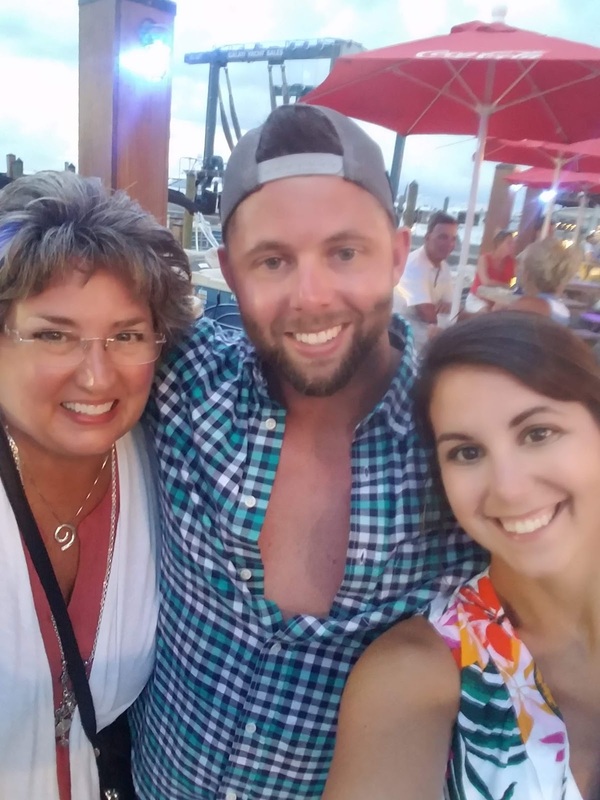 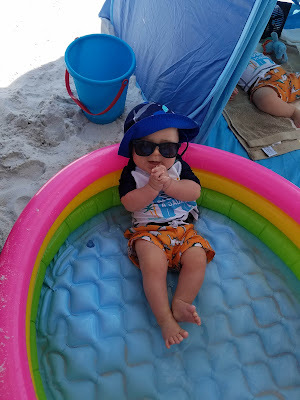 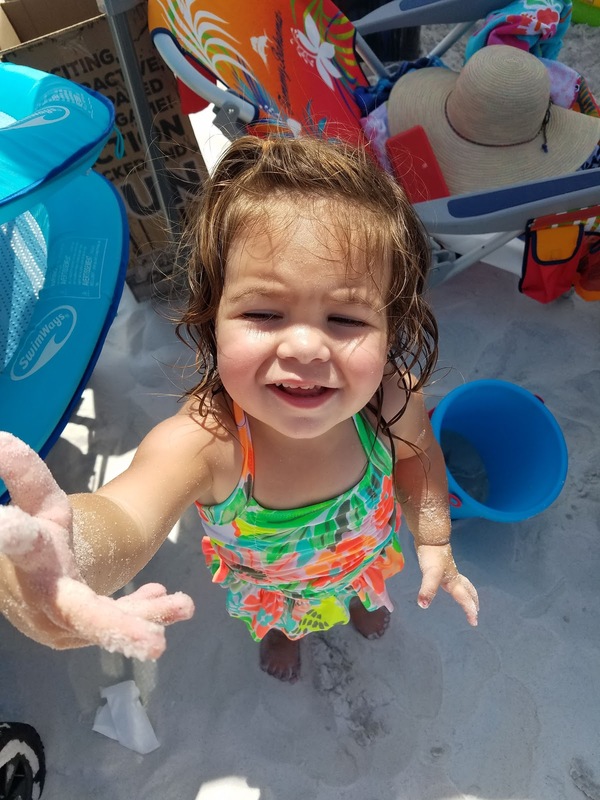 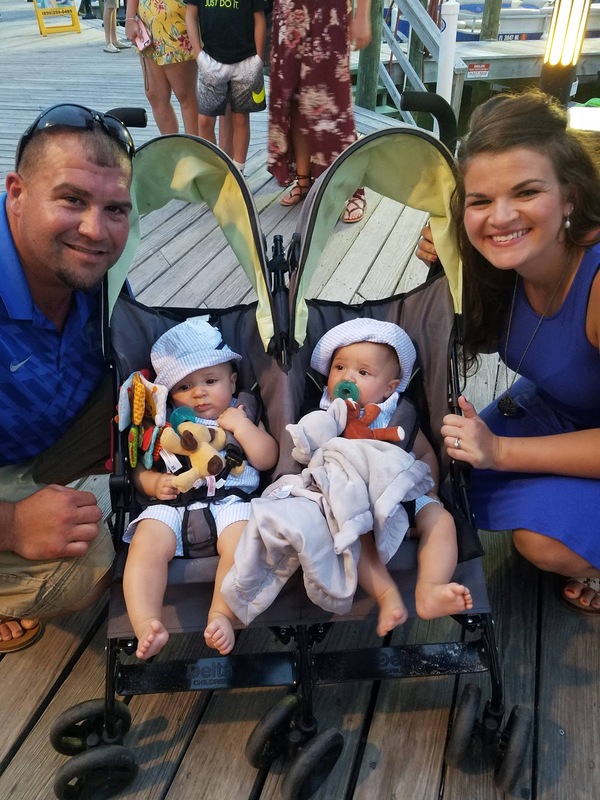 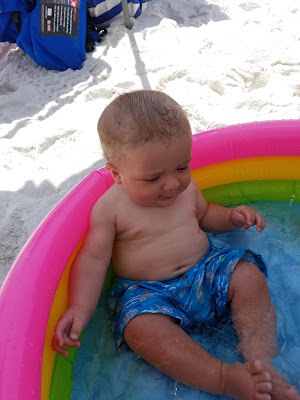 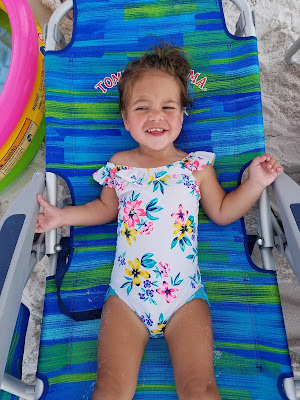 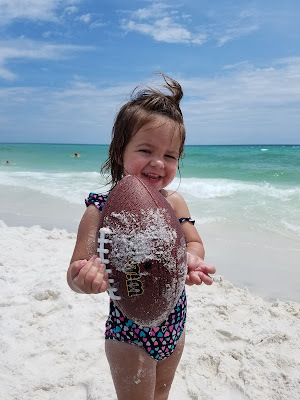 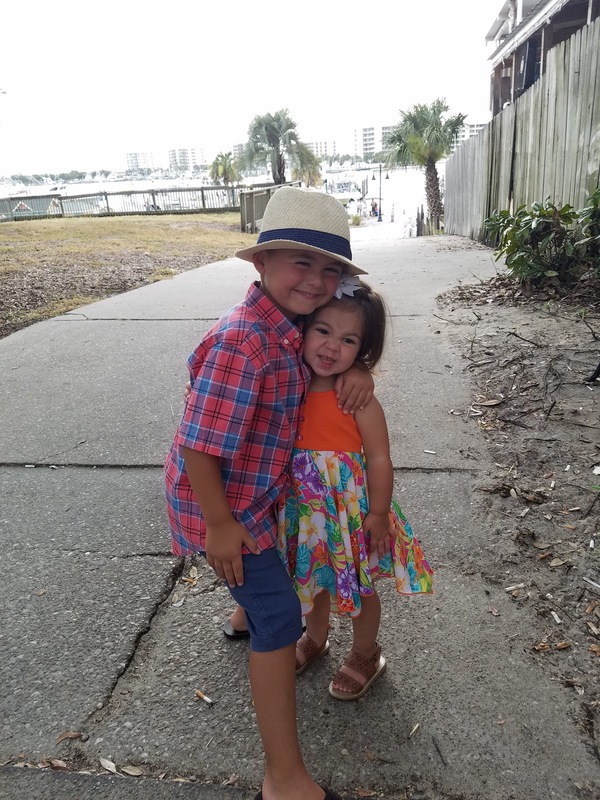 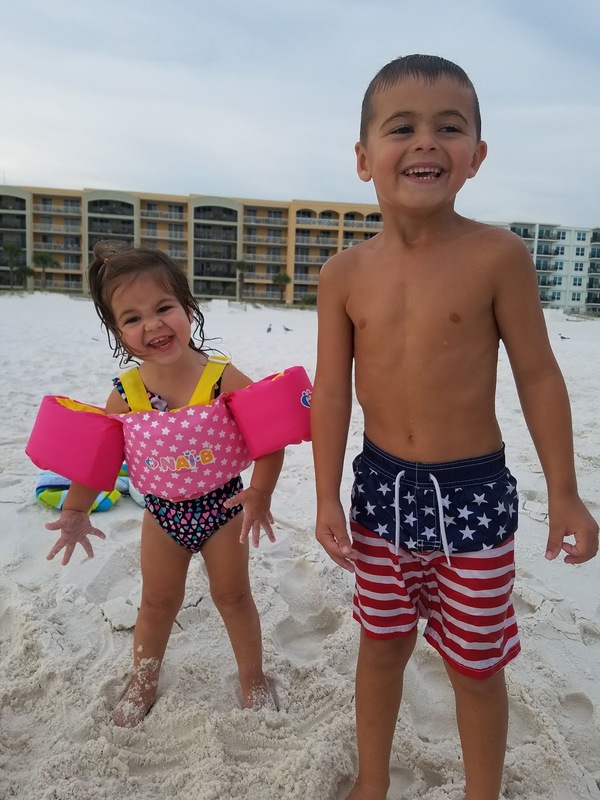 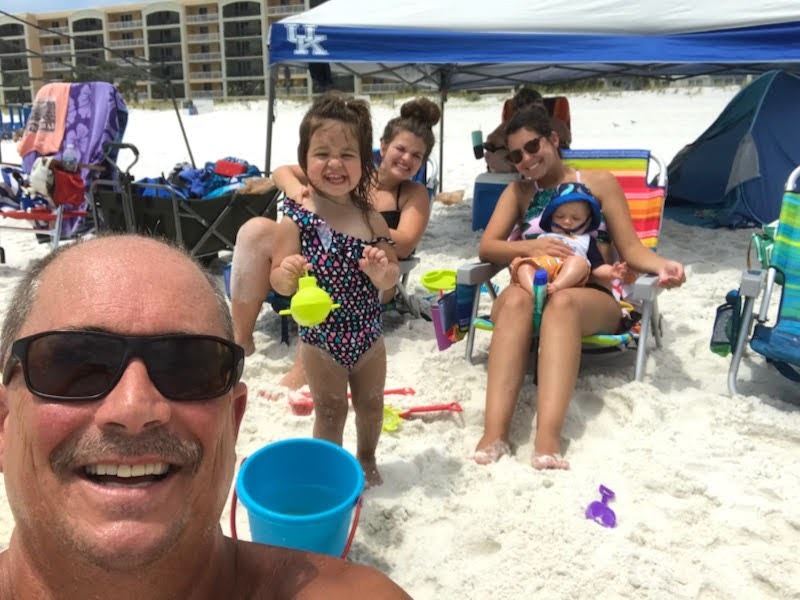 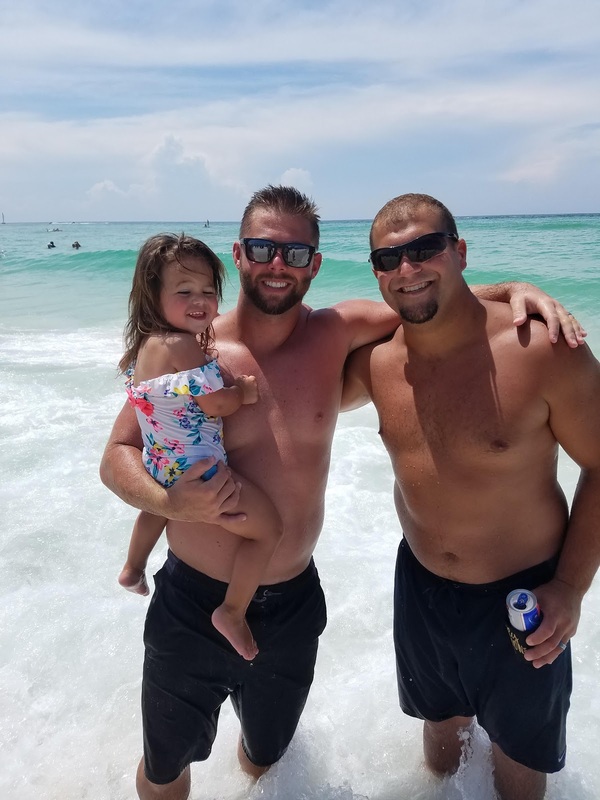 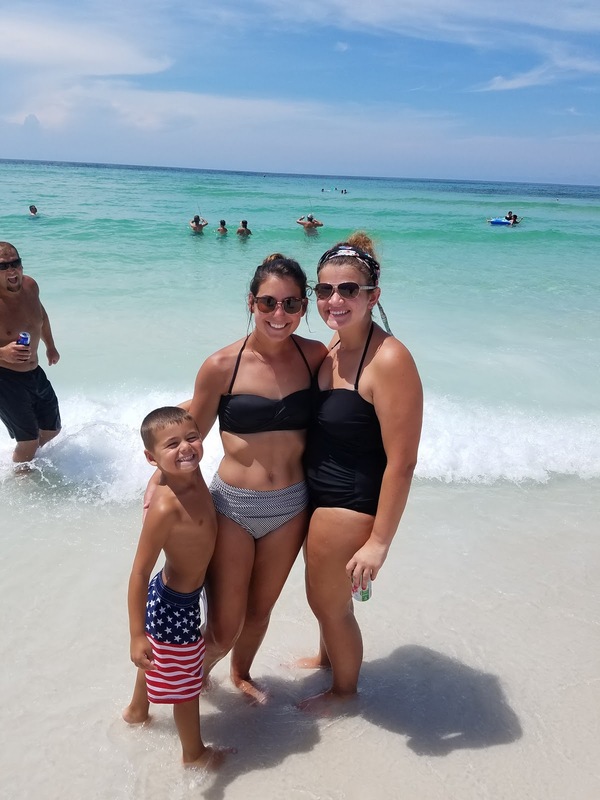 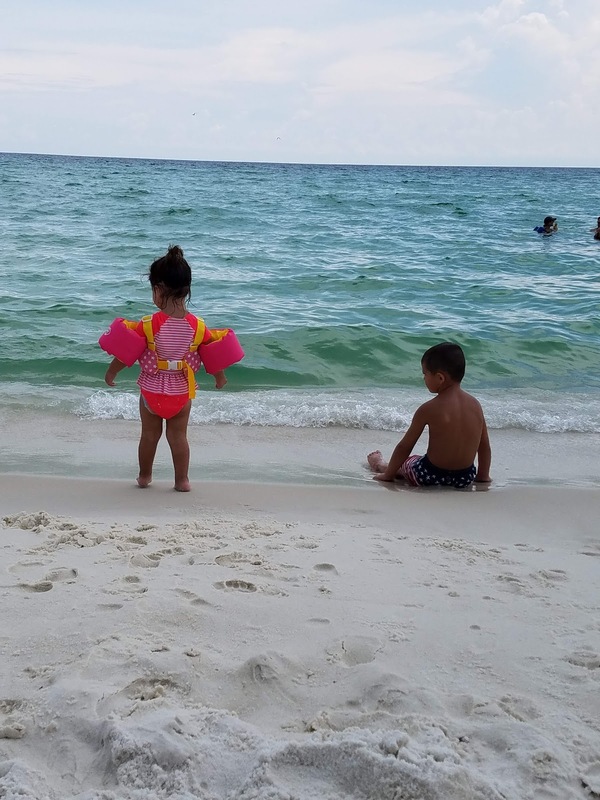 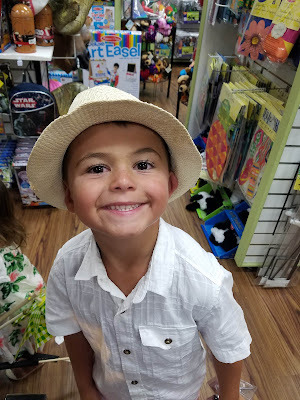 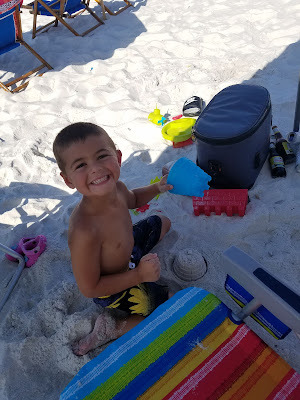 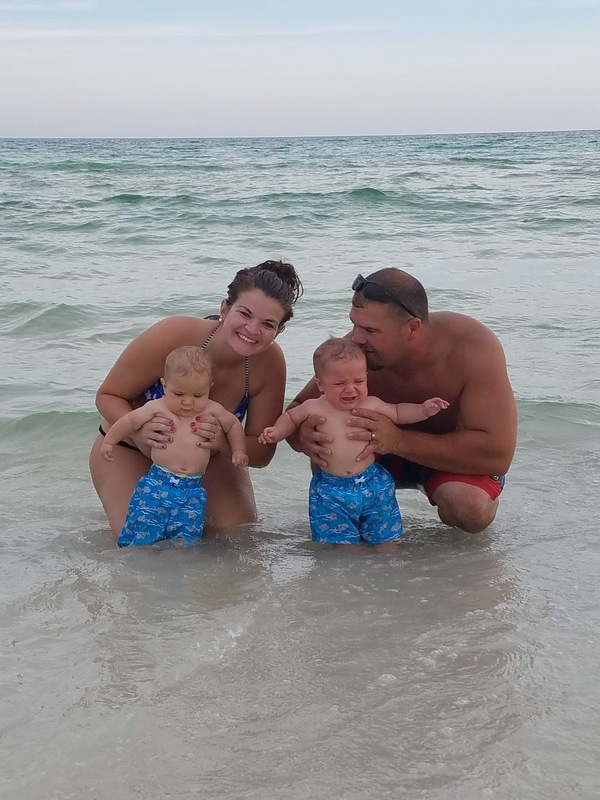 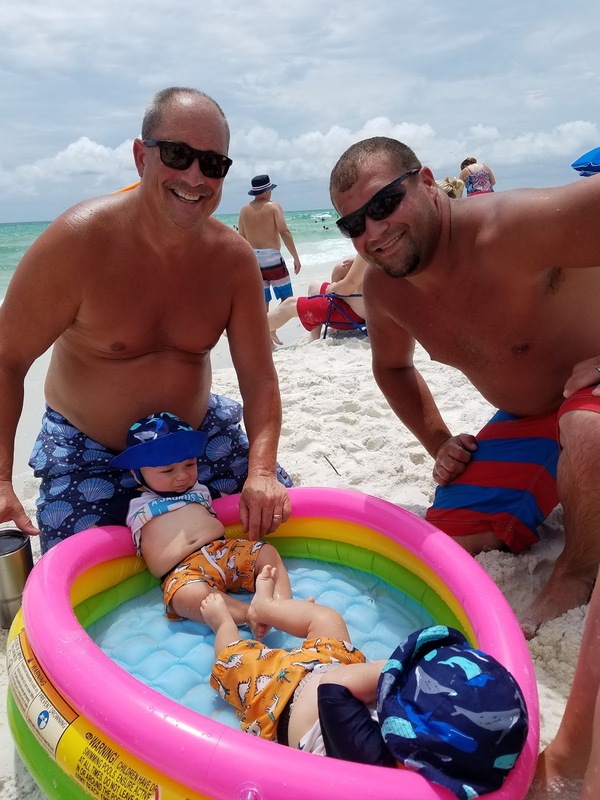 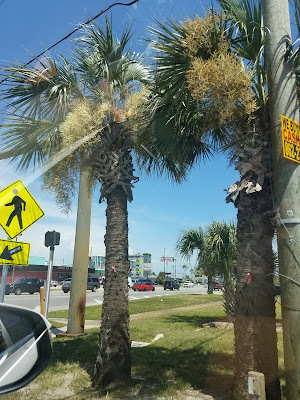 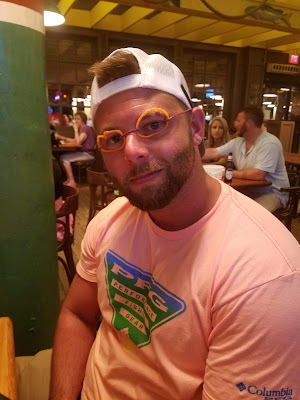 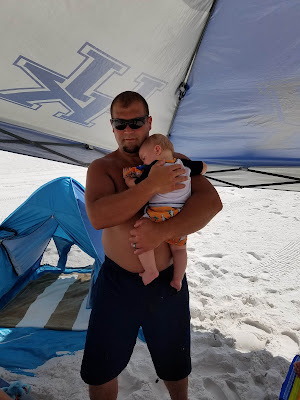 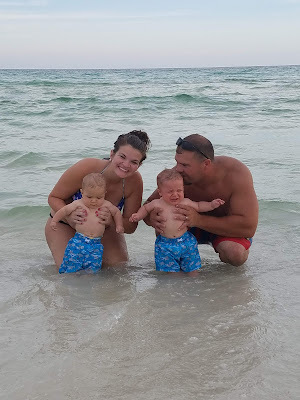 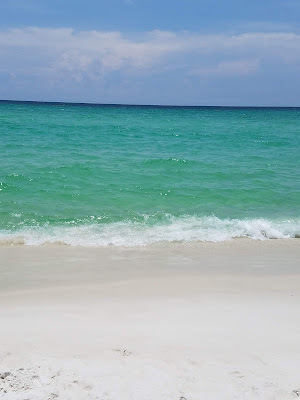 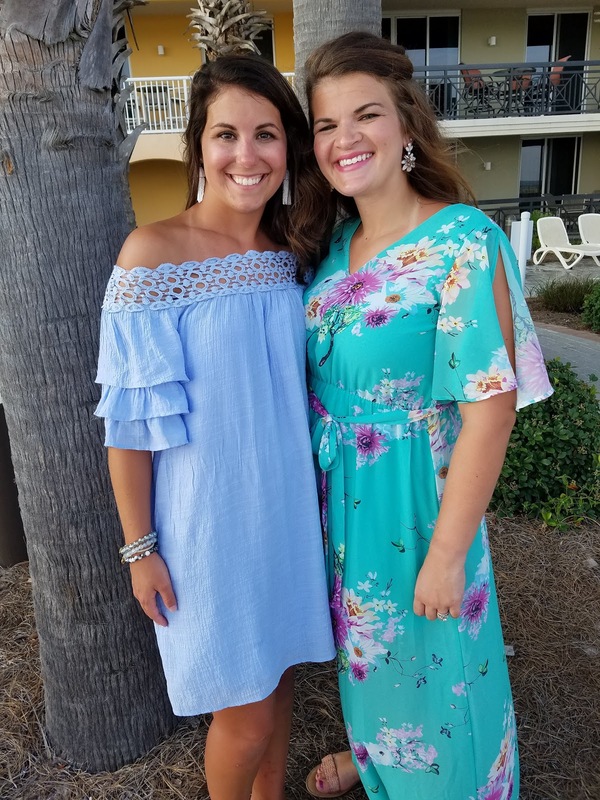 Here is a mini recap of our amazing family vacation of 2018 to Okaloosa Island! 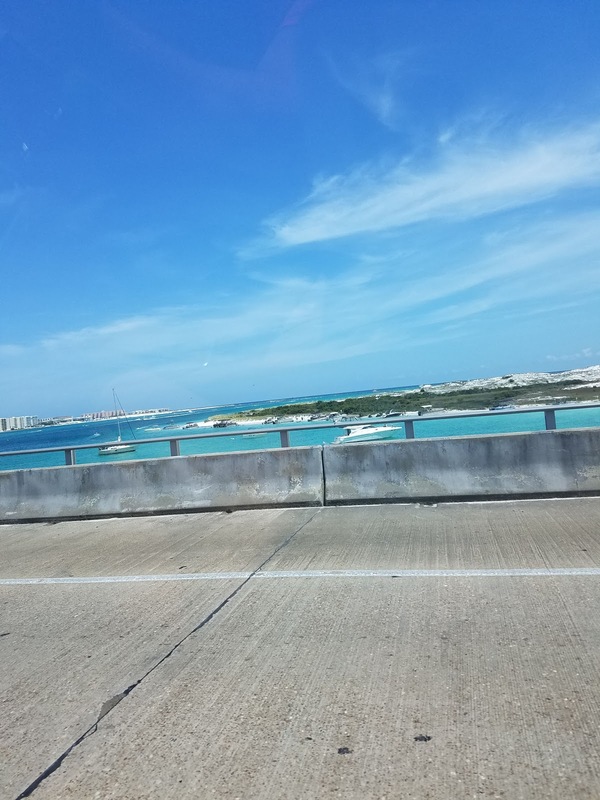 Here are a BUNCH of pictures from the whole trip! 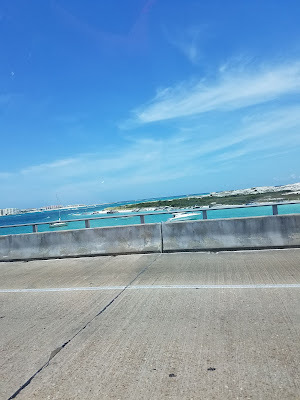 On the trip was Myself, Cody, Brinley, and Hunter. 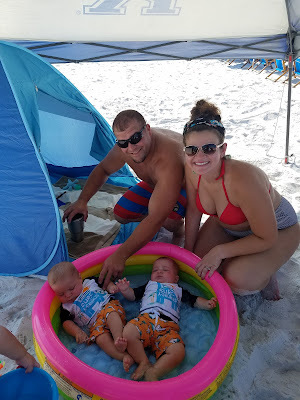 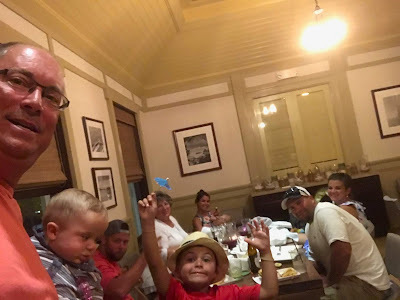 My Dad and step mom, My brother Tyler, Kelsey, and twins Wyatt, and Carrson! 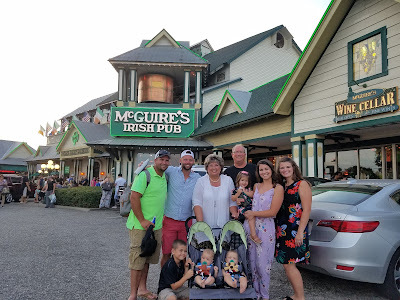 Tommy Bahamas, The Crab Trap, McGuire's Irish Pub, and of course at in some nights with some good pizza!! 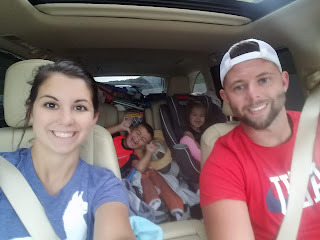 So Friday we loaded up the car and headed south!! 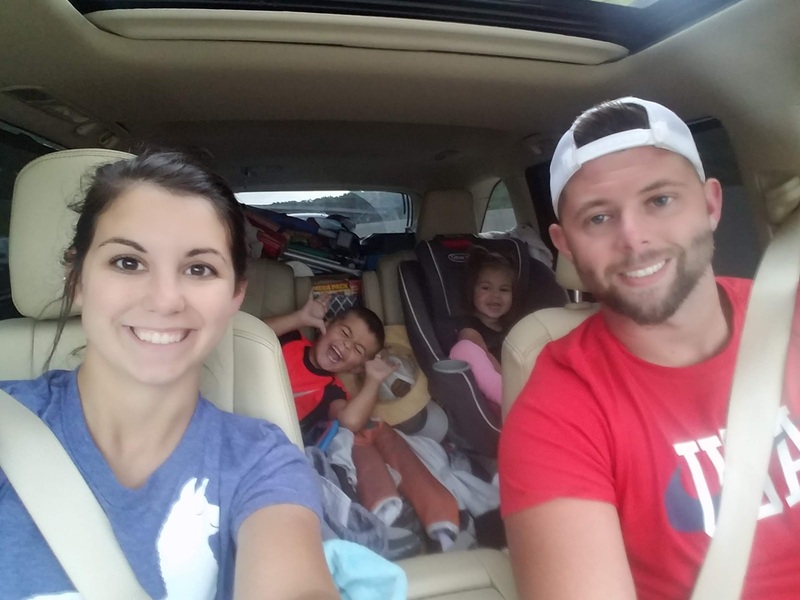 This car was PACKED down! 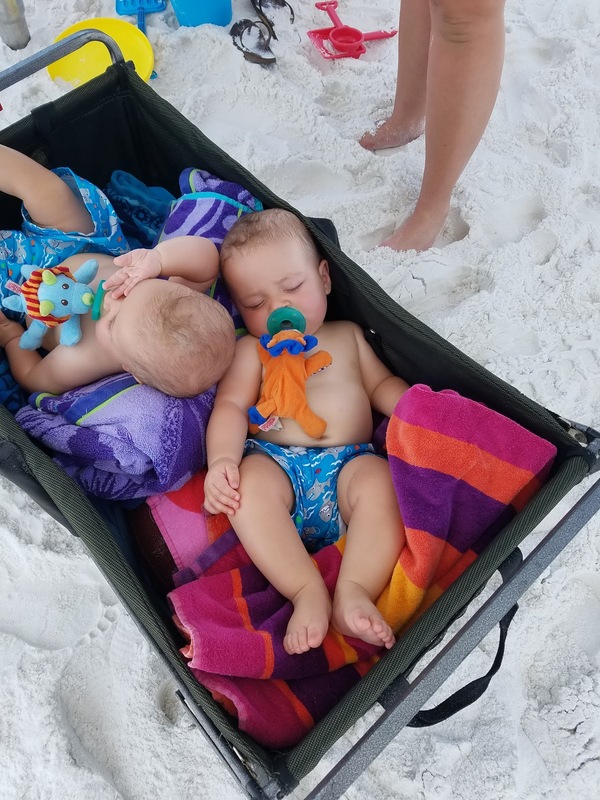 Even had the travel bag on top holding other items! 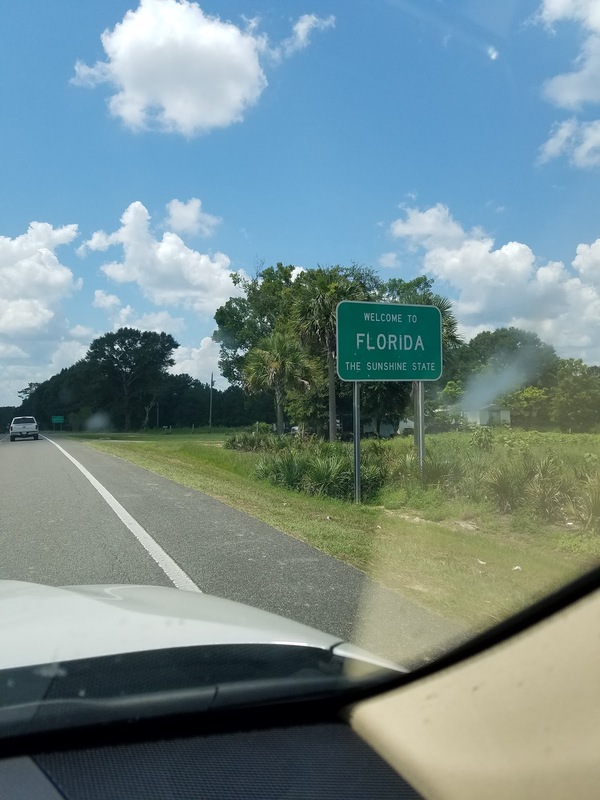 We stopped half way and stayed the night then got up early Saturday morning and drove the rest of the way! 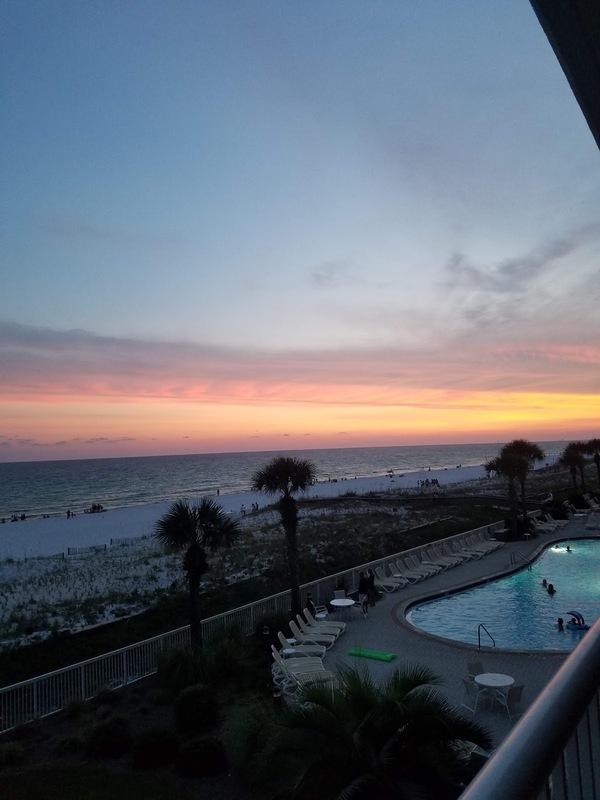 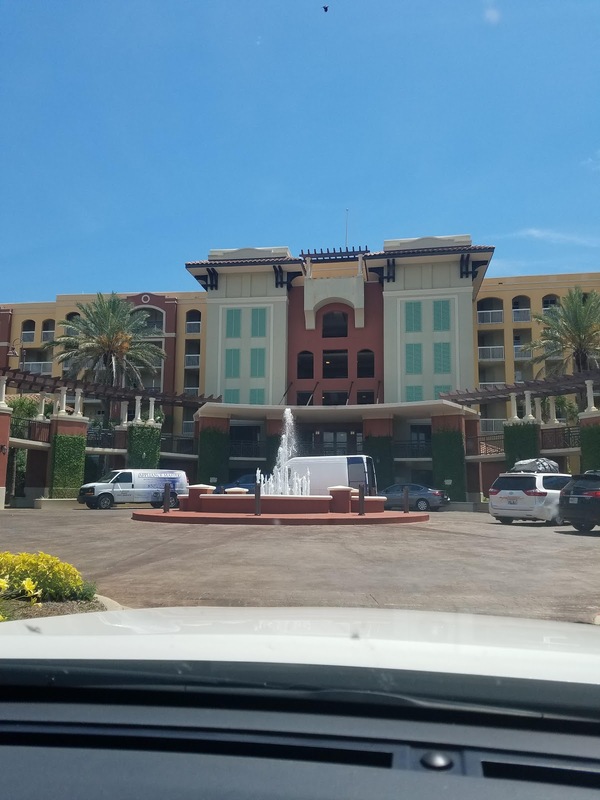 This was out Condo we stayed at for the week! This was Brinley's second time to the beach but first time she could really play and enjoy! 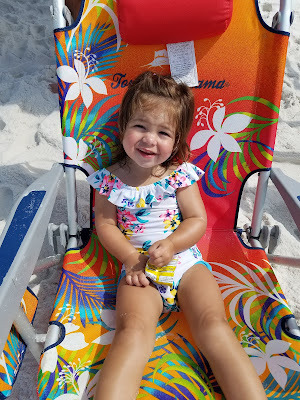 We took her in 2016 when she was only 3 months old! 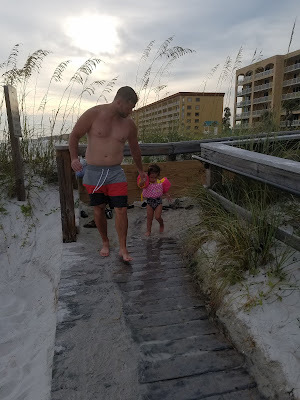 After we checked in our room we had to run down to the beach it was almost 5pm but we could not stand it! 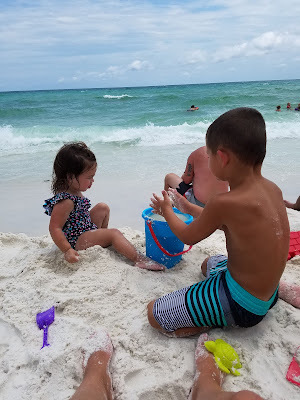 We wanted the sand in our toes!! 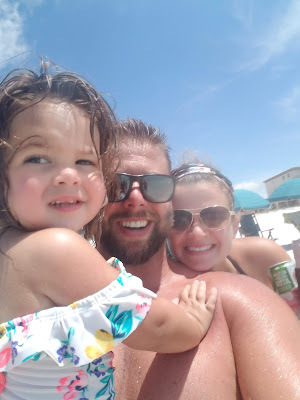 Here we are the Landrum's living out best life at the BEACH! 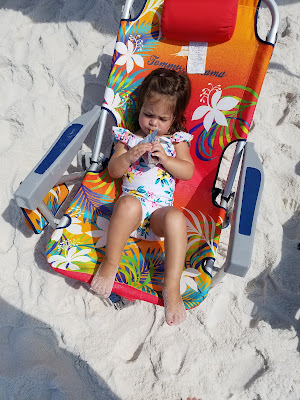 She was unsure of the sand and beach day 1. 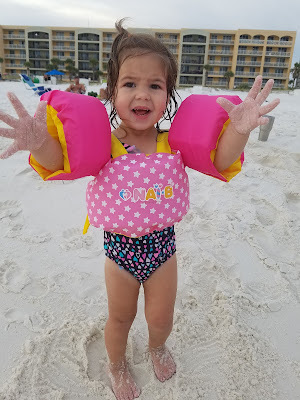 By day 2 she was floating by herself in the ocean! 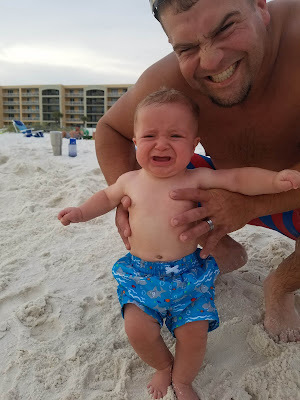 Wyatt's reaction tot he sand and beach was priceless!! 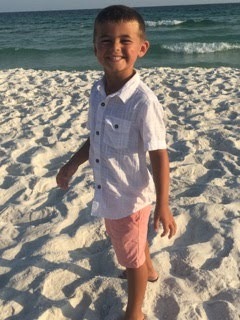 This boy LOVES the beach!!!! 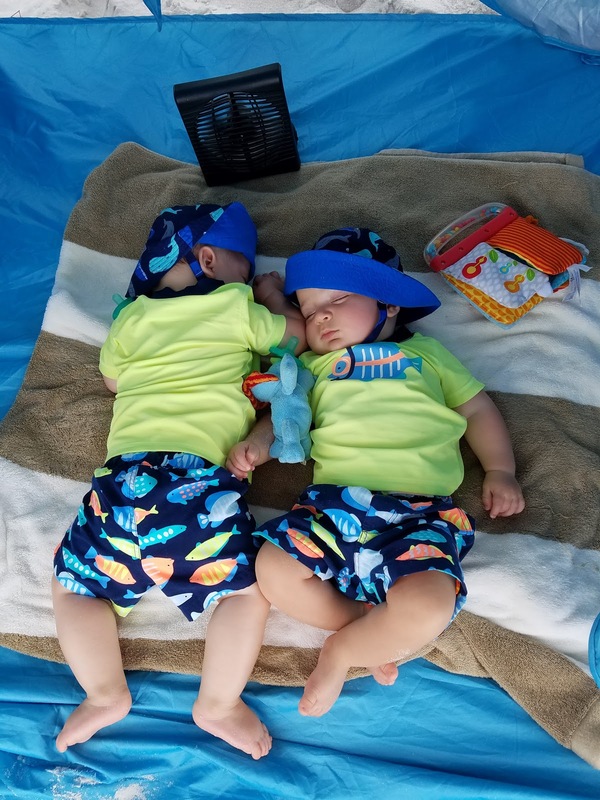 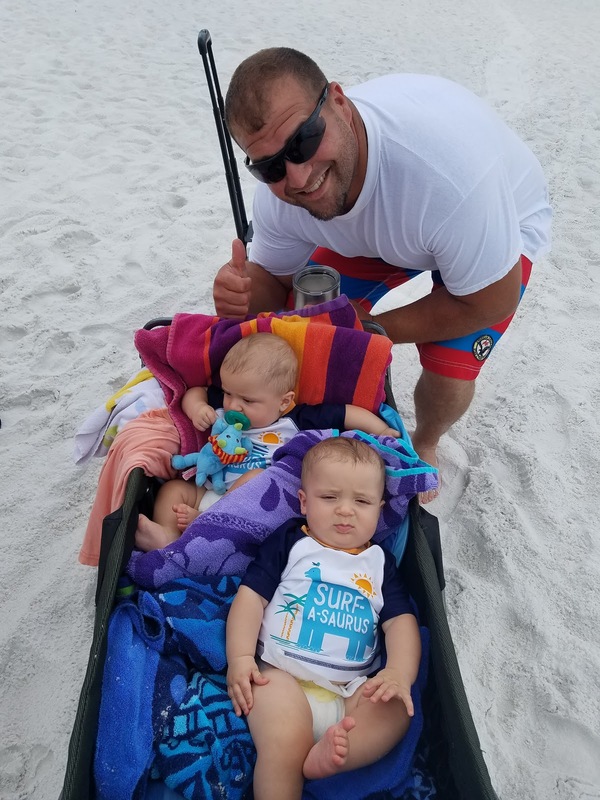 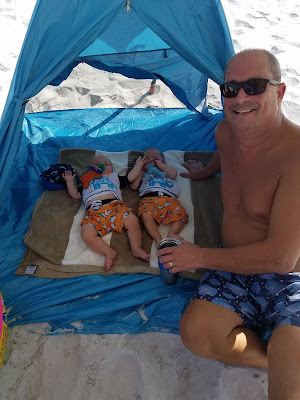 The twins first time at the beach! 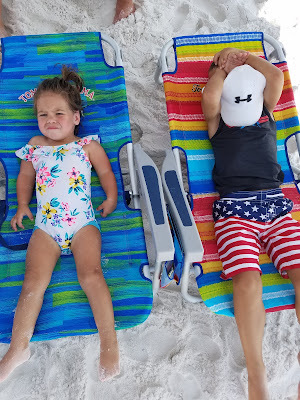 We were ready for a fun filled week at the beach!! Sunday we woke up early and was ready for our first full day at the beach! 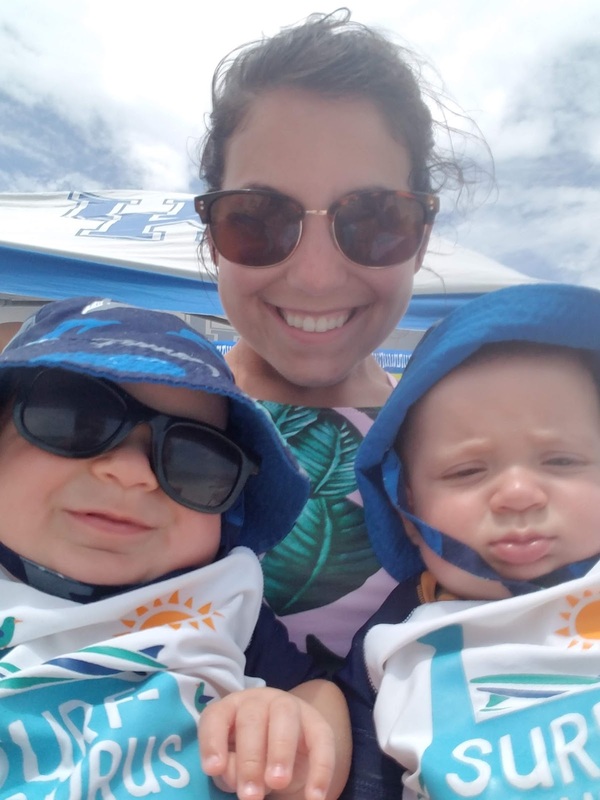 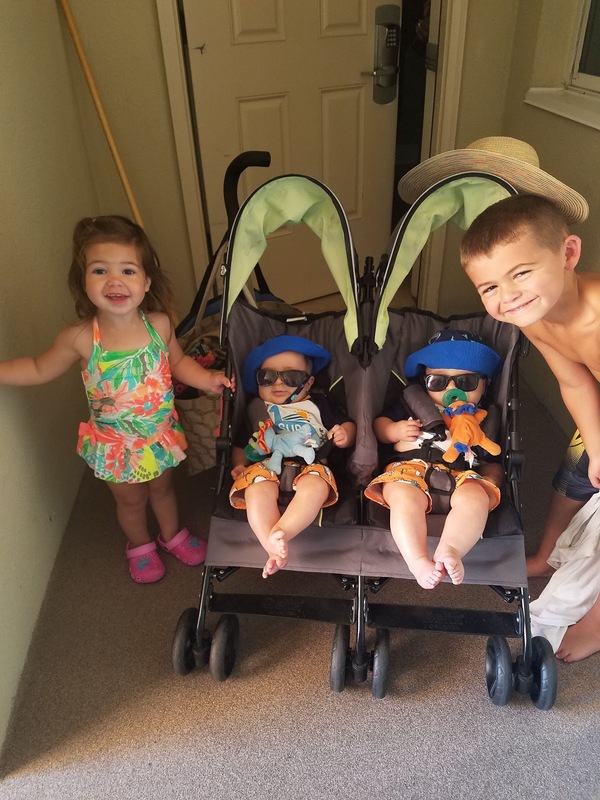 Boys were beach ready with their hats and shades! Hunter wanted to be buried day one! 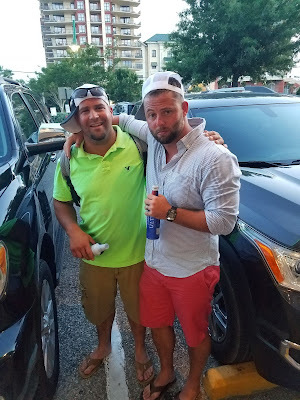 First day and night was a blast! The water and sand were beautiful!!! 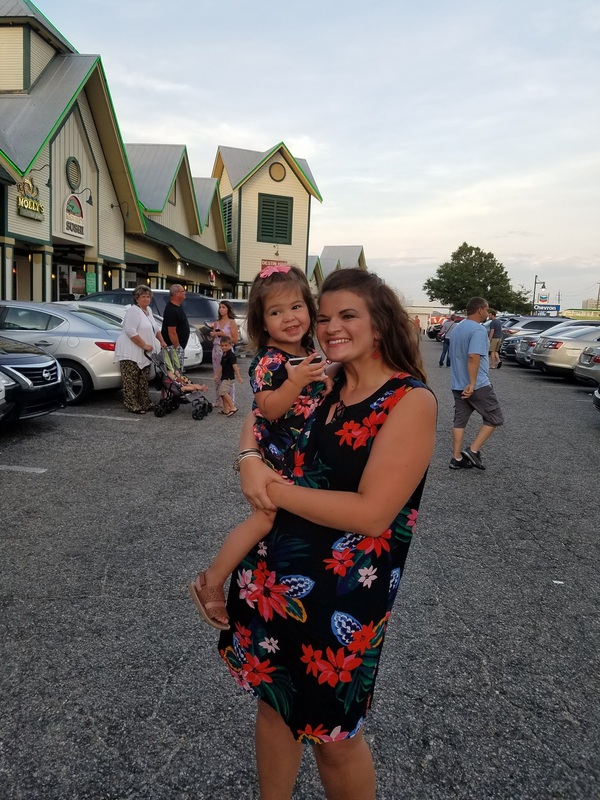 KK and Brin were matching! 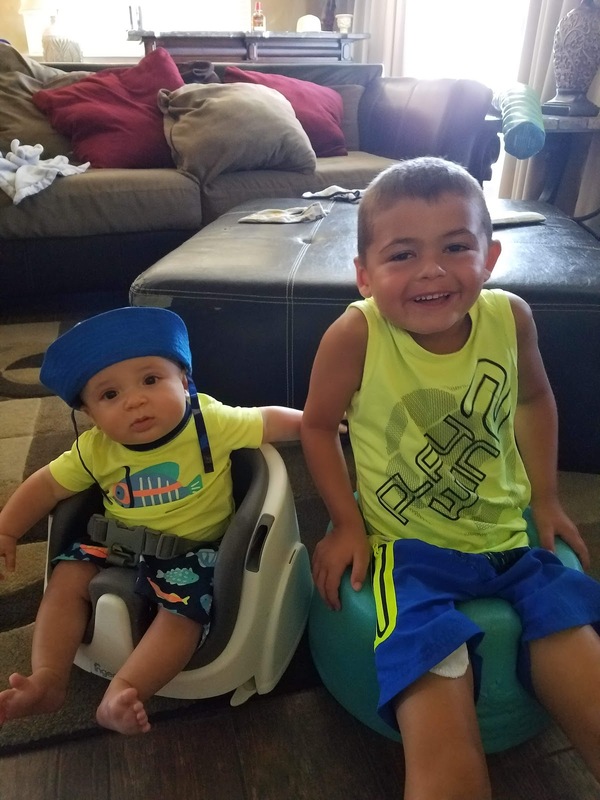 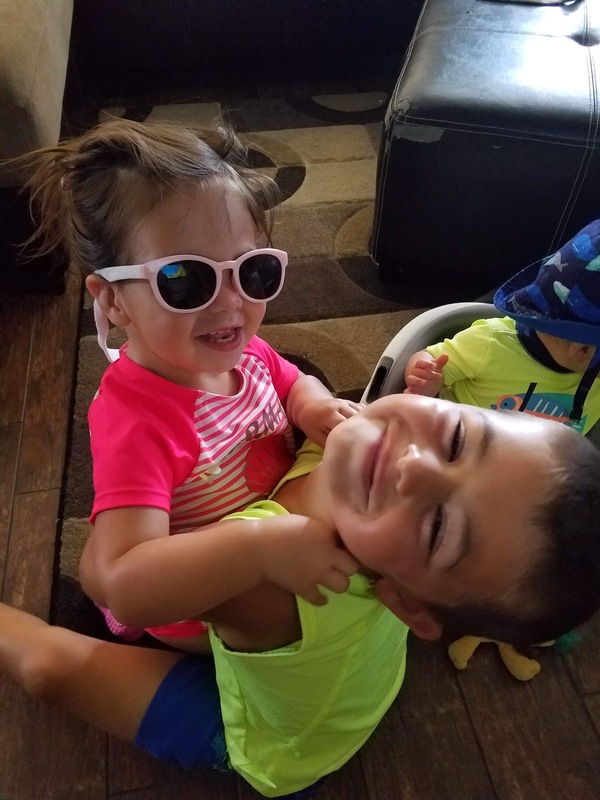 These two are two peas in a pod for sure. 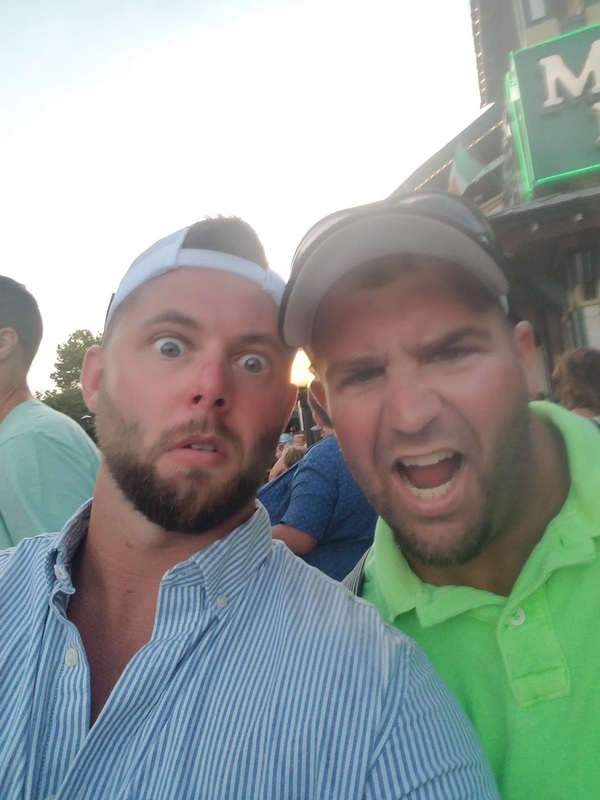 So this day I believe I forgot my phone in the room!